Whether you need help financing the purchase of a new or used automobile, consolidating those debts, setting up a savings account, or just opening a new checking account, the Hereford Texas Federal Credit Union can help you. We offer a host of financial products and services to help you make the right financial decisions and protect your financial investment. At Hereford Texas Federal Credit Union, your savings are federally insured by the US Government through the National Credit Union Administration (NCUA). NCUA insures your individual savings accounts up to a maximum of $250,000, regardless of the number of individual accounts you may have. 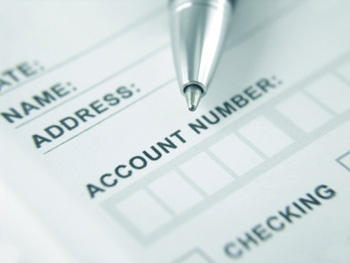 Joint, individual, retirement, and other account relationships are insured separately. Also, NCUA insures Individual Retirement Accounts (IRAs) up to a maximum of $250,000. In addition to NCUA, Excess Share Insurance (ESI) provides an additional $250,000 of savings coverage to qualifying accounts. Members exceeding the maximum level of coverage provided by the NCUA are also insured up to an additional $250,000 by ESI. For example, if a member has a savings account, checking account and certificate of deposit that when added together totals $360,000. The first $250,000 is insured by NCUA with the remaining insured by ESI. GAP - Guaranteed Asset Protection, commonly referred to as GAP, covers the difference between your primary carrier insurance settlement and the payoff of your loan, less the delinquent payments, late charges, refundable service warranty contracts, and other insurance related charges. If your vehicle is lost or stolen, GAP will pay the difference between the value of the vehicle, which is determined by the primary insurance company, and the unpaid balance of the loan. GAP provides borrowers with peace-of-mind, knowing their investment is fully protected. Some limitations may apply. Miscellaneous collateral — motorcycles, golf carts, ATVs. Extended Warranty - With "Route 66" Protection, members can purchase a complete line of coverage for new and used vehicles, regardless of the manufacturer's basic warranty. Route 66 is one of the most cost efficient service agreements in the industry. It offers mechanical breakdown coverage and protects you against the high cost of major repairs. It offers various levels of protection to choose from and provides Emergency Roadside Service throughout the life of the contract. Sign up for the freedom of OneClick. To get started, simply log in to your online banking account and select the “Bill Pay” link to access the enrollment form or stop by either of our locations.